19 posts categorized "Susan S. Coffey, CPA, CGMA"
Recent massive ransomware attacks on organizations around the world demonstrate how disruptive—and in some cases destructive—cyberattacks can be. The “WannaCry” malware incident is just the latest alarm on the ever-urgent call for companies to immediately address and manage their cybersecurity risks. Every organization is susceptible to cyber assaults, making a clearly defined, flexible and robust risk management program essential to a business’s ongoing success. With cyberattacks on the rise, organizations are not only reinforcing their ability to prevent attacks, but also taking steps to demonstrate that they are doing all they can to detect, respond to, mitigate and recover from attacks on a timely basis. Customers, investors, boards of directors and even government officials want to know more about what companies are doing to address cybersecurity. The list of companies is growing. Businesses, organizations and governmental entities have suffered damaging publicity—and faced lawsuits—due to data breaches, forcing them to make cybersecurity a priority. It’s not surprising to hear, then, that 95% of CGMA designation holders said their companies were concerned about cyberattacks, according to an AICPA survey. Organizations and their stakeholders are not only seeking ways to address current and potential threats but also to gain assurance and communicate about the efficacy of their own efforts to identify and manage the potential effects of cybersecurity risks. Stepping up to help our fellow CPAs meet businesses’ and clients’ needs, the AICPA is proposing a way for businesses to demonstrate due care and build stakeholder confidence in their cybersecurity risk management efforts. The Cybersecurity Working Group of the AICPA’s Assurance Services Executive Committee (ASEC), in collaboration with the AICPA’s Auditing Standards Board, is developing criteria and guidance that companies can use to communicate, and we can use to report on entity cybersecurity risk management efforts. In an interview with CPA Letter Daily, AICPA President and CEO Barry Melancon, CPA, CGMA, reflects on the accounting profession’s successes in 2014 and discusses the opportunities and challenges of 2015. Below is an excerpt from the interview; for the full interview, watch the accompanying video. Every few years, the issue of providing clients with comfort letters – or verification documents – rears its head among our members. Regulators or banks often look for verification that certain items within a financial statement (e.g., revenue) or a tax return (e.g., income) is "right" and they want a CPA to verify it. AICPA members have even received requests for comfort letters from adoption agencies, health insurance providers and state taxing authorities. The impact on a self-employed client’s business if money is withdrawn to fund the down payment on a real estate purchase. What’s the Difference Between Winning and Losing? I’m a sports fan. And I’m the mother of two athletic teenage boys. I’ve watched a lot of ball games over the years, and I’d like to think I’ve learned a little bit about coaching. Recently, I watched a basketball game where the home team lost, but should have won. Why do I think they lost? Coaching. Despite the team’s collective talent, the coach allowed selfish play and poor execution without consequence. More importantly, he failed to adjust his strategies to counter the opposing team's strengths. Occasionally, talent alone suffices in order to win a game. Most times, however, how that talent is deployed makes the difference between success and failure. 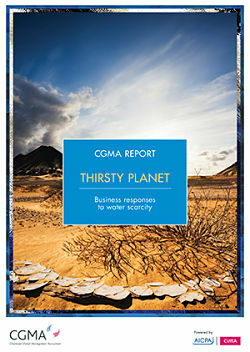 Have you seen the CGMA Report “Thirsty Planet”? The report expertly underscores the need for businesses to consider social and environmental sustainability as a means to sustain business. Ensuring that natural resources, such as water, are safe and clean for future generations, communities and businesses to come should be a priority for businesses. A sustainable enterprise has a clear strategy not only on how it will make money, but also on its social and environmental impact. 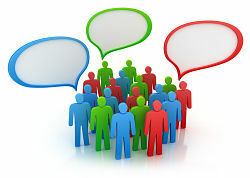 An organization’s ability to create and preserve value for itself, its stakeholders and society at large, depends on the strength of its business model; the sustainability of the financial, social, economic and environmental systems within which it operates; as well as on the quality of its relationships with, and assessments and decisions by, its stakeholders. Businesses need to consider environmental and social impacts in order to have a genuinely sustainable business that makes money—not just because it is the right thing to do, but also because it makes good business sense.